KAUAI, Hawaii. 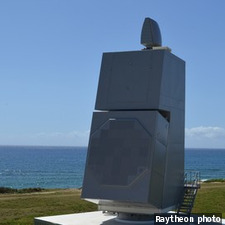 The U.S. Navy reports the Raytheon-built AN/SPY-6(V)1 Air and Missile Defense Radar (AMDR) tracked a ballistic missile target, completing final development flight tests. "The radar performed exactly as predicted. This completes our rigorous developmental test program to support the on-time delivery of the Navy's newest Flight III destroyer," says Capt. Seiko Okano, major program manager for Above Water Sensors, Program Executive Office Integrated Warfare Systems (PEO IWS). During the Vigilant Nemesis flight test, the short range ballistic missile target was launched from the Pacific Missile Range Facility. The AN/SPY-6(V)1 AMDR searched for, detected, and maintained track on the target. The flight test is the final developmental test in a series of ballistic missile defense flight tests for the AN/SPY-6(V)1 AMDR. Based on preliminary data, the test successfully met its primary objectives, Navy officials say. Program officials will continue to evaluate system performance based upon telemetry and other data obtained during the test. The radar is on schedule for delivery to the Navy's first modernized DDG 51 Flight III, the future USS Jack H Lucas (DDG 125), in 2020. "Now in production, AN/SPY-6(V)1 continues to stack up test successes and milestones, proving the maturity of its design and its exceptional capabilities," says U.S. Navy Captain Seiko Okano, Major Program Manager for Above Water Sensors, Program Executive Office Integrated Warfare Systems. 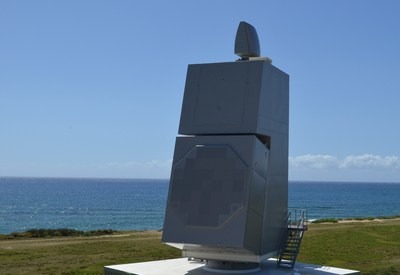 "The radar is on track to deliver game-changing integrated air and missile defense technology to the surface fleet through its ability to simultaneously address air and missile defense targets. This will provide an unprecedented level of comprehensive protection to naval forces and assets."